Previously recording as The Remission Flow, Irish singer/songwriter Darren Mulligan split up the band and them reformed as We Are Messengers with his wife Heidi in 2015. What resulted was an instant radio splash, as well as a following at live shows. As Darren and his friends Dylan, Steven and Matthew strive to point listeners and fans to Jesus, the author of life and our Everything; We Are Messengers, signed to Word Label Group, and now Curb Records; released their self-titled debut 14 track album way back in 2015, to much critical acclaim, and the hit singles “Everything Comes Alive”, “Magnify” and “Point To You” (of which you can read our review here!). Now, more than three years later, Darren and co. are ready to unveil another batch of songs. An EP called Honest; one might feel cheated that they’d have to wait 3 years for ‘a measly 6 songs’! But never fear guys- these songs are the most carefully crafted since Tenth Avenue North’s controversial and confronting The Things We’ve Been Afraid To Say; but I’d advise you guys to not just take my word for it! So after you’ve all listened to this EP for yourself at your own pace, let’s dive in together and see how Honest stacks up amongst other hit songs from this year. A pop song through and through with a UK edge like how Delirious? has the Brit-pop sound that We Are Messengers possesses as well; lead single “Maybe It’s Ok” dropped late last year, and immediately we are blessed to hear an honest and vulnerable melody about Darren emphasising about the fact that we do not have to have it all together- we do not have to be perfect because Jesus came to earth and died and rose again. It’s a freeing notion, but sometimes we forget that our dirtiness has nothing to do with whether we’re accepted or loved, as Jesus loves us regardless of everything we do or don’t do in our lives. With that firmly in the front of our minds, I am positive that such an uplifting song can help us release the chains of perfection, and allow us to live in the security that ‘…maybe it’s ok if I’m not ok, cause the one who holds the world is holding onto me, maybe it’s alright if I’m not alright, cause the one who holds the stars is holding my whole life…’. What a brilliant concept and notion that takes time to dwell upon- the concept of us accepting that we’re never going to be ok fully, as long as there’s sin in this world, however with Jesus in our lives, everything around us just gets a little better. Well done Darren for a thorough and entirely enjoyable new single, one that is sure to increase your popularity, and win souls for Christ. The rest of the EP carries on where “Maybe It’s Ok” left off- challenging and confronting. “The Devil Is A Liar” is the EP’s second single and a full on rock anthem, and lyrically a whole lot more in-your-face than “Maybe It’s Ok”; with Darren fervently relaying to us that Satan is a liar and needs to be told this face repeatedly, sometimes even out loud- but most of the times to convince ourselves and be reminded of the promises of Jesus that will never fail. Sometimes the alternative of instant gratification proposed by the devil seems a whole lot more appealing than walking the narrow road that Jesus encourages us to; but the reality is far from what seems to be on the surface. The shininess wears off and we are left with a cheap imitation, whereas focusing on Jesus gains true satisfaction. As confronting as it seems, “The Devil Is A Liar” is needed in a society where temporary highs are championed over eternal gains. 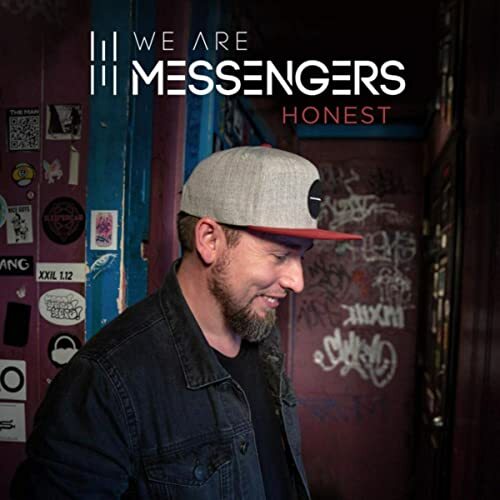 While EP opener “Honest” is a rock melody at heart, as Darren pleads with us in the 3-minute tune to be honest with each other- because true growth occurs when we’re vulnerable with our friends and family. The slower tempo light EDM track “Abide”, standing tall at nearly 5 minutes, is as close as a worship song as we’re going to receive here, as Darren prayerfully admits that he needs Jesus in his life, that he just wants to abide with Jesus, to be in His presence- a theme similar to Matt Maher’s “Abide With Me”. On the flipside, EP closer “Gold And Glory” brings the tempo back up, is another 80’s themed rock tune that asks the question of whether we want material possessions and riches of this world (gold and glory), or whether we would rather eternal gold and glory- alluding to eternal life with Jesus Christ. But it’s the weirdly titled “Wolves” which really tugs at my emotions- as Darren sings to a friend or loved one, or even his wife, that he’ll always defend them from the ‘wolves’ in this life, no matter what else happens. It’s a tear-jerker, that’s for sure, but it’s a welcome alternative to whatever is on mainstream radio nowadays. Speaking of mainstream radio, is it possible for the song to be re-recorded with more instruments and marketed to mainstream radio? I reckon it’d do great, don’t you think? Just like that the EP ends. As soon as I am easing myself into the songs, I’m left with the realisation that Honest is only 6 tracks long. It’s a nitpick, but maybe Darren is building to a full-length project late this year possibly. Thus, as I finish listening to this exquisite and unique listening experience, there is only one thing left to do, and that’s to press repeat. Truly, Darren, his wife, and his band of spiritual brothers have created something special. Though it’s not as enjoyable as Rend Collective (the other Irish band I am loving at the moment!) it’s still worth a listen, as I pause, sit, ponder and reflect upon what Jesus has done for me. I can’t wait to hear the full album #2 from We Are Messengers, whenever that arises! Keep up the good work guys!